LULING, Texas (KXAN) - Just days after a skydiving plane crashed in Luling, people are jumping out once again. The company reopened Friday morning and dozens of people loaded up to take the leap. By the amount of business, it's almost hard to tell one of the company's planes crashed to the ground just a few days ago. "The last couple of days have been hectic, I'm not going to lie, it's been a whirlwind, the first time I've experienced this," said Skydive Lone Star owner Joe Johnson. Johnson says everyone on the crashed plane was a staff member and are all doing fine, some have even returned to work. The pilot, he says, was commercially rated. "He was a good pilot, my lead pilot trained him in, he had a lot of hours in that airplane previous to this. I would have never imagined anything like this would have happened," said Johnson. The FAA is still investigating what caused the crash. Johnson says the plane was well maintained and recently had an inspection. "Even though everything was in order on our part, still something happened," he said. "Everything from a maintenance standpoint and a paperwork standpoint is in order, so they've closed that portion of the investigation." He says an extreme sport like skydiving comes with risk and a crash like this is rare. "It's safer than driving to work every day," said Johnson. For those who've always wanted to skydive, they say a crash like this isn't going to stop them anyway. "It's always been on my bucket list, I just recently decided to do it and it seemed like a good point in my life to do it," said skydiver Rachel Watts. 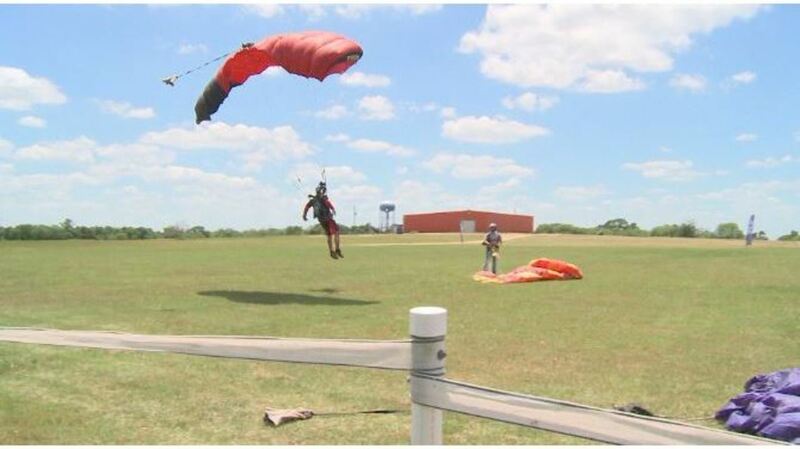 "Accidents happen, if I was concerned about that, then I wouldn't drive," said skydiver German Rodriguez. The owner says the plane that crashed rarely took tourists up to jump, it was primarily used for experts and those who are staff members. 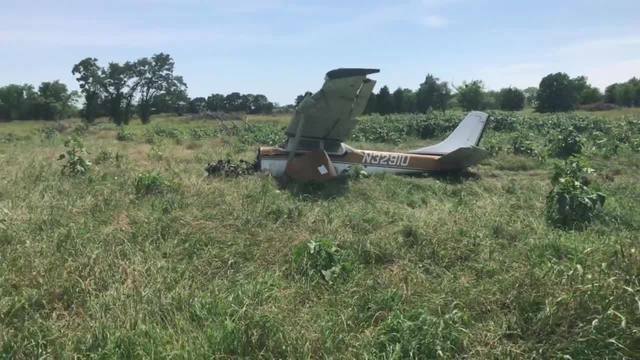 LULING, Texas (KXAN) - The Luling airport is still closed to air traffic after a skydiving plane crashed at the end of its runway Tuesday afternoon. 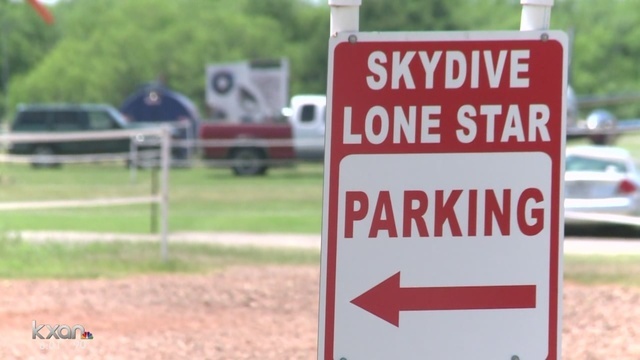 We found out Wednesday the plane was owned and operated by Skydive Lone Star. The wrecked plane still sits in the pasture where it landed, but investigators have since packed up and left the scene. Officials have yet to release a cause to the crash, but the plane barely made it off the end of the runway, which is about 100 yards away. An eyewitness and a man who went up in the plane before it crashed spoke with KXAN and said everything seemed fine. "The pilot was great, we had zero issues with the jumps we had done hundreds of times before. It was like any other day, there was zero cause to think there was anything wrong with the aircraft," said skydiver Will Bourland. Bourland jumped from the plane that crashed just hours before it hit the ground. "We were on the list to go up again after this happened," he said. Waiting for his next turn, he was sitting with other skydivers and watched the plane take off. "It didn't look like anything was wrong, but we were informed very quickly by a customer that it looked like the plane had dipped below the tree line," said Bourland. Law enforcement says five people were on board and all expected to recover. Bourland says those on the plane were professional skydivers. "They run a very safe operation out there, I don't know what the issue was with this, but they run a very safe operation out there," said Luling City Manager Mike Mayo. Inside, the only seat is for the pilot, but buckles hold in up to four other passengers. "We have hundreds of people that go through there all the time and we haven't heard anything but good from the people that come out and skydive with them," said Mayo. Now skydivers hope this crash doesn't scare away future thrill seekers. "This shouldn't detour you from going to jump out of a plane, it's an amazing sport, it's an amazing stress relief," said Bourland. The FAA is investigating the crash, saying there's no update as of right now and a preliminary report of what happened should be available in the next couple of weeks. 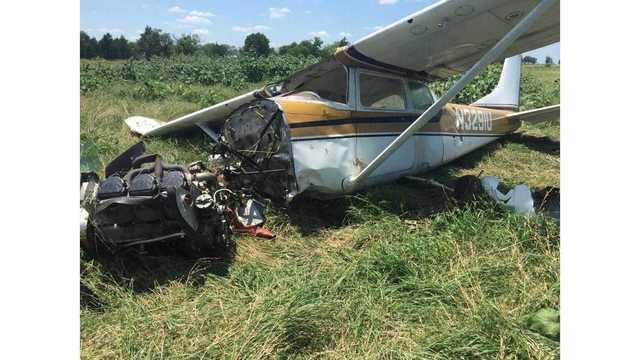 CALDWELL COUNTY, Texas -- Three people were hospitalized after a single-engine plane belonging to Skydive Lone Star crashed near Luling, Texas Tuesday afternoon. 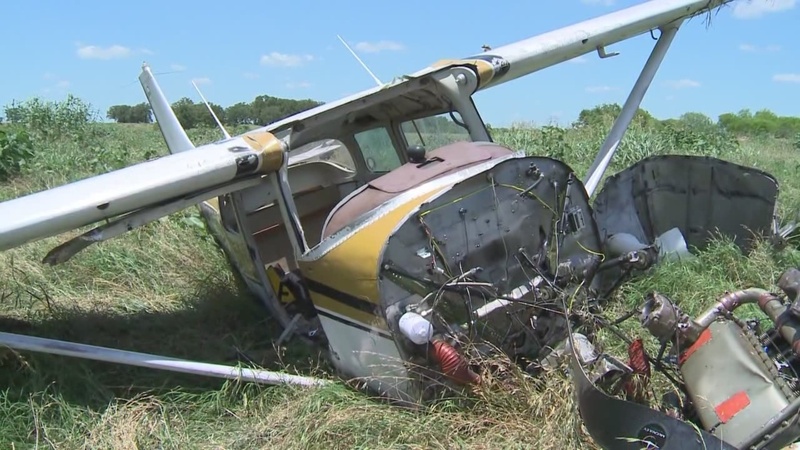 According to authorities, the Caldwell County Office of Emergency Management was called about the crash involving a single-engine Cessna plane at 2:37 p.m. Two passengers were taken by an EMS vehicle while the pilot was was airlifted. Their conditions are not known at this time, according to authorities. Two people involved in the crash refused treatment. Martin Ritchey with the Caldwell County OEM said the plane was owned by a skydiving company, but he could not disclose the name. Authorities are currently investigating to determine what caused the crash. LULING, Texas (KXAN) - A small plane that was carrying skydivers crash-landed near Luling Airport Tuesday afternoon. Video from the scene shows the single-engine plane crashed into a field just south of the airport. Out of the five people on board the plane, three were taken to the hospital and the rest declined treatment, according to the Caldwell County Office of Emergency Management's Facebook page. The Texas Department of Public Safety says the pilot and two passengers were injured but the extent of their injuries are not known at this time. The pilot was taken by medical helicopter to Seton Hays County. Aviation records show the Cessna 182 plane was built in 1963. Numerous agencies from Luling responded to the crash. DPS, the Federal Aviation Administration and the National Transportation and Safety Board are currently investigating. Single engine aircraft crashed landed just south of the Luling Airport. Five persons were on board three transported by EMS and two declined treatment. No further information will be provided online. DPS and FAA will be responsible for scene. Luling Police, Luling Fire, Luling EMS, DPS and Caldwell County Office of Emergency Management. My 182 has a useful load of 1166 pounds. Four skydivers, four rigs or two tandem rigs, pilot, plus fuel? Right on the edge of gross. What was the density altitude that day & time? As a former skydiver I would never go up in a Cessna 182 unless the pilot showed me his weight and balance figures.